covering Oxfordshire, the Thames Valley & beyond. 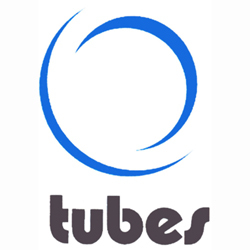 Tubes Scaffolding have been trading for nearly 40 years and are delighted to have had the opportunity to work with our long standing customers. We have worked on many major projects with local industries and Universities in Oxfordshire. We are proud to be a “preferred scaffolding contractor” to many. We can provide the complete service for scaffolding and aluminium towers, to companies, builders and private individuals alike. Tubes have a wealth of knowledge within the scaffolding business with experienced CITB trained scaffolders and an excellent communication network always at your service. Aluminium scaffold towers are designed to provide safe access to higher level work. Formed from robust aluminium, they are durable yet lightweight and easy to erect. Managing Director, Benfield and Loxley (Oxford) Limited. Charles Hendry, Senior Team Leader, Conservation and Buildings, University of Oxford. Safety and environmental Manager, Beards Oxford.